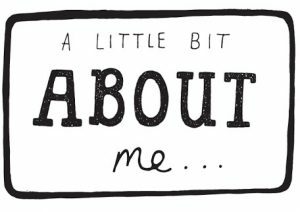 Hello dear visitors and welcome to the About Me page! Here, I will do my best to portray to you the man behind the name of Francis Romero. Who am I, what do I do in life… my hobbies, job, family and all that good stuff… So, without further adue, let’s start off! So first things first – My name is Francis Romero and I live and work in El Paso, Texas. I am a tech-savvy 43-year-old living with my son Josh and my dearest wife Karen. We’ve been married for 12 years and have been blessed with a son just 2 years after getting married. I work as a sports analyst at 4-4-2 station in El Paso. It’s not the best job out there, I know, but it serves the purpose of providing bread on the table for my family. So, needless to say, I am happy with it! I’ve made this blog at the start of 2017 since I suffered a work injury and was on a paid leave for a month. During that time, I went on a vacation and was feeling rather bored. That’s why I decided to make my own blog and perhaps attract a fanbase. Of course, this is a lot more difficult than I initially expected. Still, I enjoy writing blog posts (as you can see) and hope to expand my blog by talking about it at work. In addition to this About Me page, there are also a couple of informative paragraphs about me on the homepage. With that being said, you can consider this website as my personal project. I plan on investing a lot of time in it in the near future. Regarding my blog posts, I plan on writing sport-related themes as well as completely random ones. There will be something for everyone’s taste, that’s for sure!